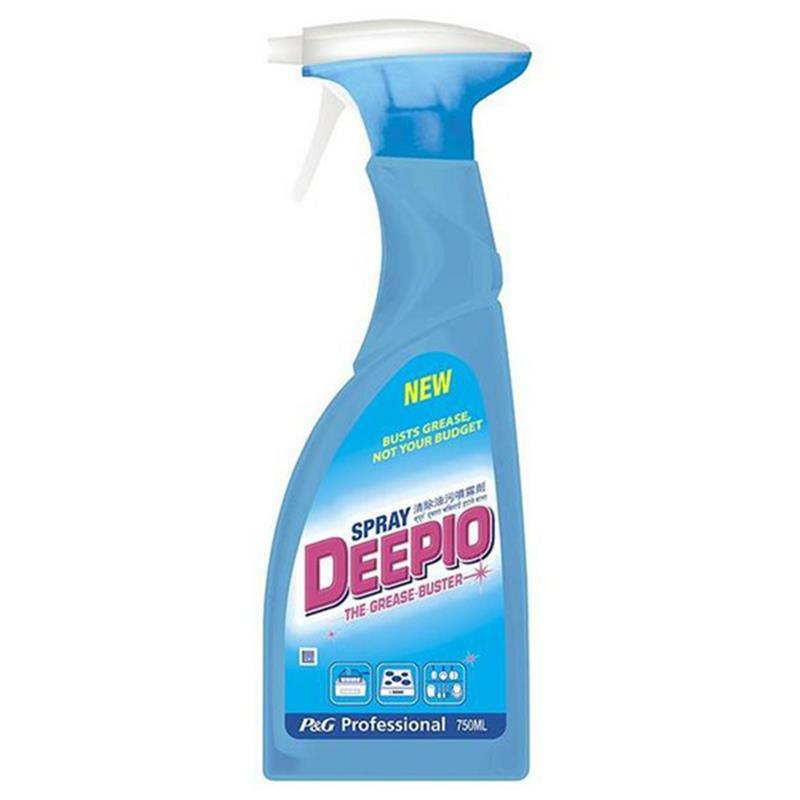 Deepio Grease Buster Spray - 750ml. The non-tainting, no-rinse spray can be used on floors, work surfaces, walls, kitchen equipment, cookers, hoods, fryers - even pots and pans. It will extend the life of kitchen equipment, improve the taste of food by removing burnt-on grease, enhance the working environment and help operators meet health and safety regulations.